Zoho Analytics customer references have an aggregate content usefulness score of 4.6/5 based on 1057 user ratings. Zoho Analytics reviews and testimonials from 69 real customers and users. 18 companies using Zoho Analytics share their challenges, decisions and results before, during and after implementing Zoho Analytics software. Watch and listen to 6 featured customer videos describing how they use Zoho Analytics inside their companies. "Zoho Analytics allowed us to automate everything. 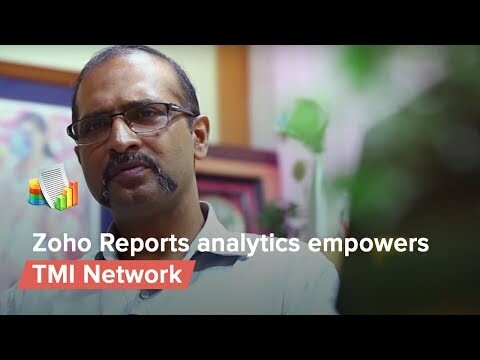 We save a lot time, manpower and focus on what is i..."
Zoho Analytics allowed us to automate everything. We save a lot time, manpower and focus on what is important. 93 Zoho Analytics Testimonials & Customer References from real Zoho Analytics customers. Watch Zoho Analytics Customer Videos, Testimonials & Customer References to decide if Zoho Analytics has the right business software or service for your company. See which companies are customers of Zoho Analytics.